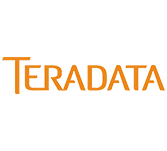 The SHOW PROCEDURE command has been added to the Teradata RDBMS. It returns the SPL source text of a stored procedure if the stored procedure is created with SPL option. The user may have any privilege on the containing database for the command to work. In order for this command to work, the SPL storage option must be enabled.